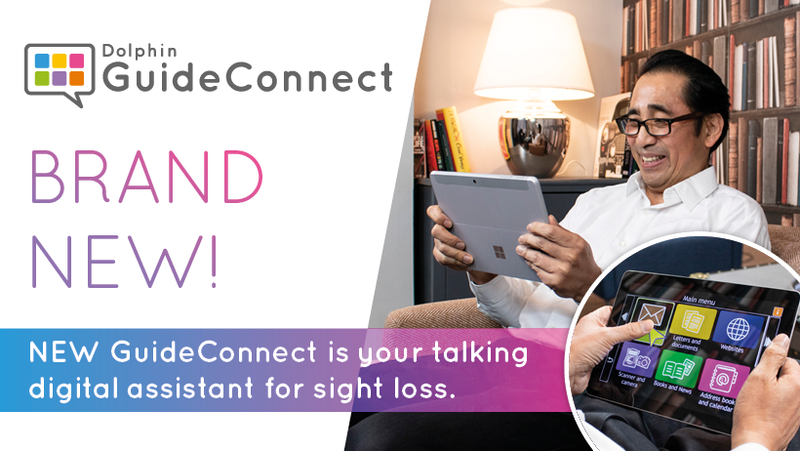 The feedback on new GuideConnect has been very positive, and we now have some updates to make things even better. GuideConnect 1.06 has been released today and includes improvements to make using email, websites and documents much easier. Below we include the highlights and, if you click on the link at the end, you can read the full list of all updates. When you next go to exit GuideConnect, you will be given the opportunity to automatically download all of these updates. The updated and improved version will be available to use the next time you switch on. If you need help with updating, just contact our Support Team. You can easily download files from links that are sent to you by email. It is now simple to save an attachment while you are looking at it. Using the internet is much easier - the browser remembers your last position on a page and your cookies (small details relating to each of the webpages you use). You will find that addresses are saved and can be added to documents, if you have previously sent the addressee a letter. No more losing the latest version of your document, as GuideConnect asks if you would like to save after an action. The delete key in single line edit areas. The ‘read passwords as star’ setting in all GuideConnect password areas. You can move emails to folders. Emails which have been opened are marked as read. The subject line is displayed in the title bar for HTML emails. When searching the inbox, the search results list newest email first. You will find improvements in highlight and voice at high zoom levels. For full details of all improvements visit GuideConnect 1.06 Update.